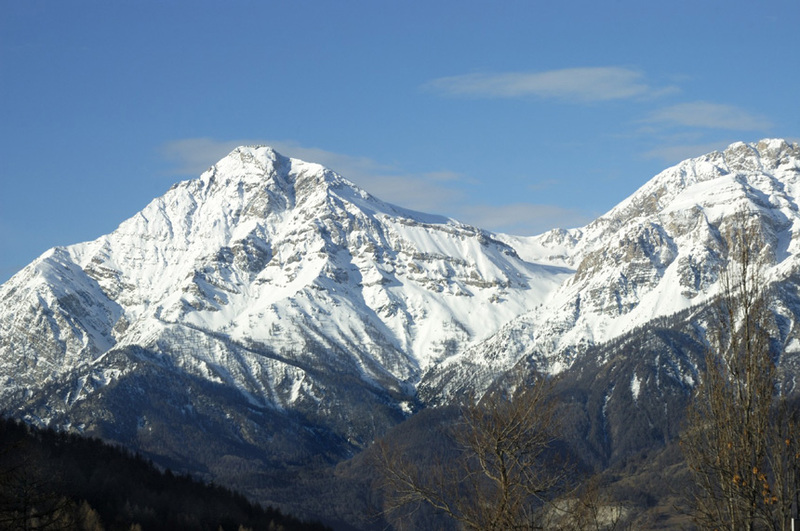 Piedmont is aptly named: derived from the Italian phrase “ai piedi del monte” (at the base of the mountain), the region is enclosed on three sides by the majestic Alps. Originally settled by Celtic-Ligurian tribes, the Romans, Goths, Byzantines, Lombards and Franks successively ruled until the region fell to the House of Savoy and subsequently joined its territory. The Savoy Dynasty left a significant mark on Piedmont’s architecture and artworks; the splendid residences and remarkable art collections left from this period remain as a testament to the royal legacy. Piedmont became a center for Italian nationalism in the 1800s and the region’s ruler, Victor Emmanuel II, went on to emerge in 1861 as the first king of Italy. Agriculture is the backbone of Piedmont’s economy, thanks to the lush and fertile land throughout this varied and sometimes rugged region. Renowned for its treasured truffles, the region is also one of the best wine producers in Italy with a wealth of vineyards and grape varieties. Piedmont is home to the rare and closely guarded nebbiolo grape, considered one of the greatest grape varieties. While the Lombard and Veneto regions are known for their lakes, Piedmont boasts a smaller yet equally lovely lakes region. 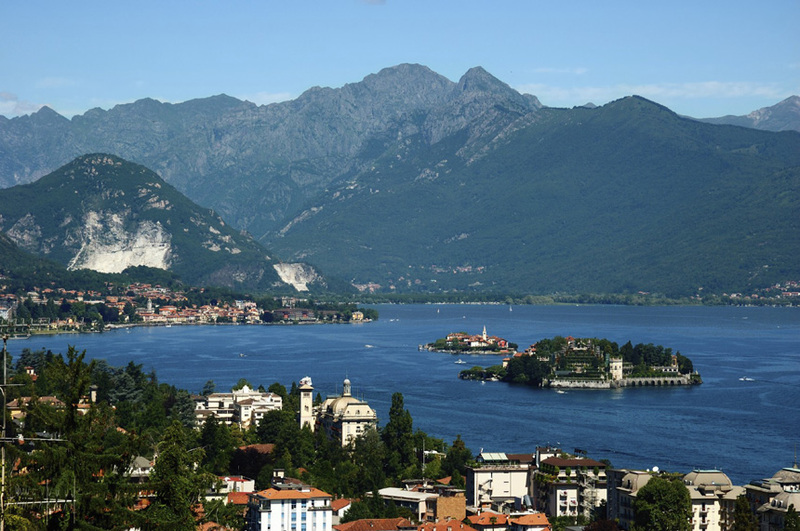 The western half of Lake Maggiore, Italy’s second largest lake, lies in Piedmont and has wonderful hiking trails and gardens to explore. Lake Orta is smaller than Maggiore but is a stunningly picturesque lake with the charming Isola di San Giulio (San Giulio Island) just west of the lovely car-free village of Orta San Giulio. The island is a mere 140 meters wide and 175 meters long and has been called one of the most romantic places on earth. Piedmont has a wealth of artistic treasures and historic landmarks, from the renowned works found at the Egyptian Museum to the nine groups of chapels making up the Sacri Monte and the numerous abbeys, churches, castles and small museums scattered throughout the region. 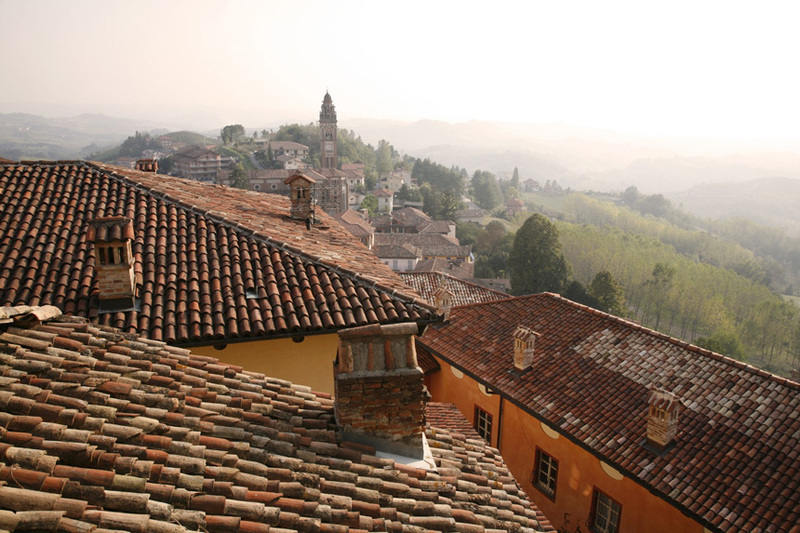 These treasures, along with the 56 national and regional parks and the truffle and wine festivals, help to define Piedmont as one of the most culturally rich and lovely regions in Italy. Located at the foot of the Alps along the Po River, Turin is a beautiful and historic city. First established by the Celtic tribe Taurini over 2,300 years ago, the city was nearly destroyed by the Carthaginians under the rule of Hannibal but was rebuilt by the Romans, who used Turin as a military camp. Currently the capital of the Piedmont region, the city was once the capital of the Kingdom of Italy as well as the Duchy of Savoy. The Savoy Royal Palace and the Basilica of Superga, burial place of the Savoy family, are Baroque architectural masterpieces that symbolize the significance Turin held for the royal family. The city also had the honor of hosting the Winter Olympic Games of 2006; the Stadio Olimpico di Torino, previously the Stadio Comunale di Torino, was the setting for the opening and closing ceremonies and is now the home field for the local football team, the Torino F.C. 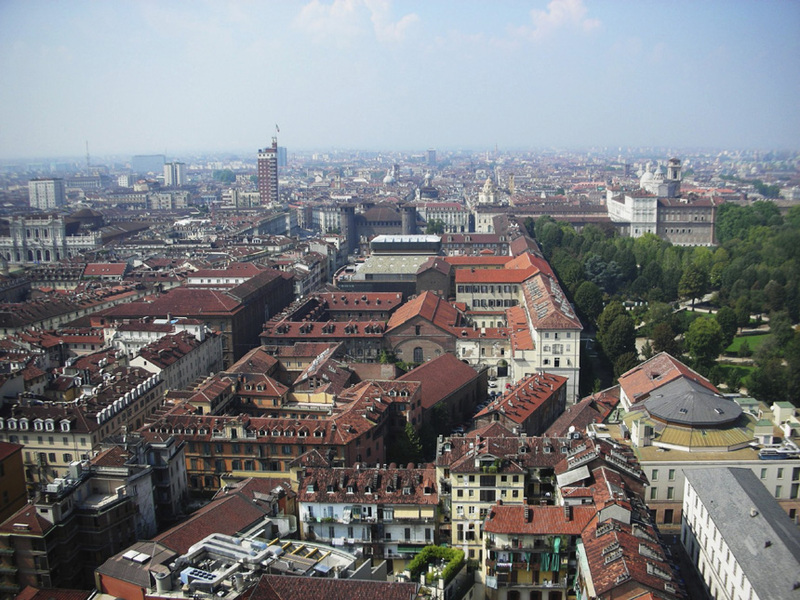 Turin is located at the foot of the Alps along the Po River and has been called the ‘Detroit of Italy’ for its production of automobiles; Fiat, Lancia and Alfa Romeo all have their headquarters in Turin and were integral to the industrialization of the city in the 1900s. With such a rich history, it is no surprise that Turin has a remarkable number of landmarks, museums and religious monuments that are culturally and architecturally significant. The city’s most renowned building is the Mole Antonelliana, currently the tallest museum in existence. Built originally as a synagogue, it now houses the National Museum of Cinema and boasts a panoramic view from the top of its tower, accessed by a lift. There are several historic squares throughout Turin, including the Vittorio Veneto square, Piazza Castello (located at the center of the city) and the Piazza San Carlo, which houses the twin churches of San Carlo and Santa Cristina. Perhaps the most historic monuments in Turin are the Palatine Towers, remarkably well-preserved medieval Roman towers that once served as the gates to the city. There are numerous palaces, residences, libraries and museums associated with the reign of the Savoy Royal family, all well worth visiting, including the Savoy Residences and the Royal Library. But walking the streets of Turin is the best way to see and experience the true beauty of this historic city; stroll along the Via Po and witness the palaces, stop at one of the cafes to order a bicerin, a local drink made of layers of coffee, cream and chocolate, and watch the romantic transformation when evening approaches and the candle-lit streets and restaurants are reflected in the river. Turin is a wonderful and fascinating city. The Via Lattea ski area, or Milky Way, stretches across 25 kilometers (15 miles) of mountains in Italy and France, including the alpine village of Sestriere in the province of Turin. Located just 17 kilometers (11 miles) from the French border, Giovanni Agnelli, owner of Fiat, recognized the village’s potential as a ski resort due to its altitude; Sestriere’s high north-west facing slopes receive a greater average snowfall than its neighboring resorts. Agnelli also spearheaded the construction of distinctive dual towers in the meadow of the town’s hillside, creating two hotels that also include two cableways to Monte Banchetta and Monte Sises. 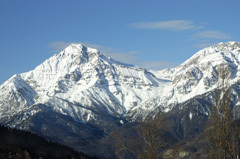 The area hosts the Alpine Ski World Cup events and the 1997 World Championships and the 2006 Winter Olympics and Winter Paralympics were held in Sestriere; the Tour de France begins and ends in the village as well. As part of the Milky Way, Sestriere is linked with four other areas (Cesano, Claviere, Sansicario and Val di Susa or Saux d’Oulx) to create almost 400 kilometers (248 miles) of trails over 146 pistes. 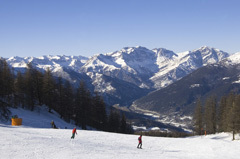 One ticket grants a skier access to all five areas, including a pass to the Montegenevre resort in France, where some French cuisine can be enjoyed before heading back to Sestriere for more Italian delicacies. The pass between Montegenevre and the Italian pistes has historic significance as well; Hannibal used the passage as he traveled by elephant to invade Italy. Sestriere also has lovely shops and restaurants as well as a wonderful fitness center with a solarium, whirlpools and saunas for some relaxation before enjoying a pint at the local pub with those seeking après-ski fun. The resort also offers a “Winter Trekking” lift ticket for those wishing to enjoy the view but not the slopes. After settling into a local café for a world-renowned Italian pastry and coffee, it is clear why Sestriere is a popular destination. Located on the Dora Riparia tributary of the Po River, Val di Susa has been called the oldest Alpine village. Founded by the Gauls and then ruled by the Romans, the village gained significance as trade and traffic increased between Italy and France, roads that crossed closely by Val di Susa. During the reign of Napoleon, the Via Napoleonica was built, further popularizing the route. The history of this once small village has been preserved in the fantastic castles and abbeys found in the town, including the Forte di Exiles, said to be the prison of the “man in the iron mask”, whose story inspired a film. The Cathedral of San Giusto, built in 1029, is another historic landmark as well as the Roman Amphitheater and the Arch of Augustus, both monuments to the Roman era. 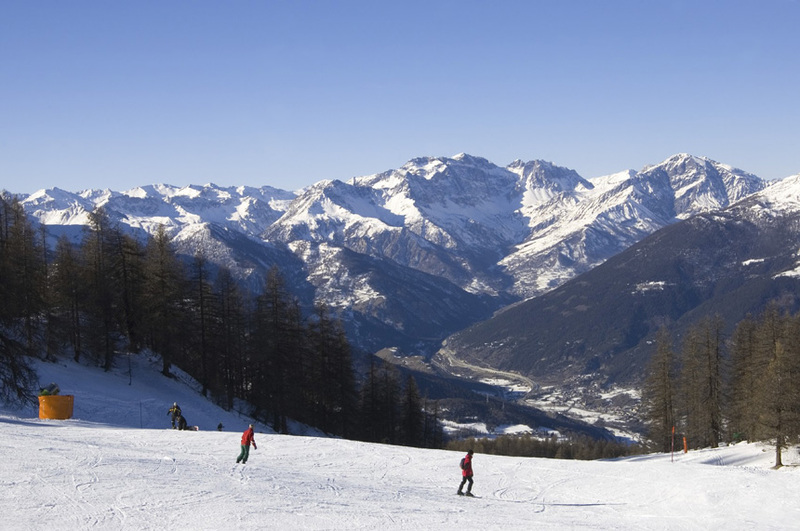 However, for most visiting Val di Susa (or Saux d’Oulx), the biggest draw is the access to over 400 kilometers (248 miles) of ski trails and runs. It remains one of the most popular ski resort destinations and is renowned for plentiful snow and night-lit areas for evening skiing. With a wide range of trails and remarkable ‘off-piste’ runs, it is a resort suited for all levels of skiers and snowboards. For the more adventurous, the ice climbing on the frozen waterfalls of the Troncea, Cenischia and the Argentera Valleys is renowned and guides can be arranged. There is also great snowshoeing in the Gran Bosco (Great Forest) park or trek to a chalet for dinner. There are plenty of restaurants as well as shops for those seeking a more relaxed outing and the après-ski scene is welcome to those fresh off the slopes or fresh from the boutiques. With fantastic hiking and mountaineering, Val di Susa is a stunning summer destination as well, making it a year-round paradise. While the region of Piedmont is known for its production of truffles, the village of Alba is world-renowned for its rare and hallowed white ’”tartufo bianco” truffles, which can sell for as much as US $1,000 per pound (approximately half-kilogram). Indigenous only to Alba and a small Croatian peninsula, this rare gastronomical delicacy is just one of the gems found in this small, fascinating town. Alba is located in the Tanaro River valley and is considered the capital of the mountainous Langhe area of the province of Cuneo. Though evidence suggests the original inhabitants of the area were Celts, the Romans, whose walls still surround the historic center of Alba, first established the town. As the Roman Empire fell, Alba was invaded repeatedly before being conquered, and protected, by the Savoy royal family. Now home to the Alba International Film Festival, the renowned annual truffle festival held in October as well as the famous Ferrero Company (maker of Nutella and other chocolates), Alba is an increasingly popular destination. While the harvest of truffles may be Alba’s most celebrated feature, there is much to explore in this lovely medieval town. Alba was once known as the “city with a hundred towers”; while most haven’t stood the test of time, some have survived, dating back to the 14th and 15th centuries. The Cathedral of San Lorenzo, despite several restorations, still includes the original bell tower from the 12th century and contains lovely Romanesque features. There are several other churches, including the church of John the Baptist and the church of San Domenico, that showcase Gothic and Baroque influences; San Domenico in particular is lovely and even contains remnants of frescoes from the Renaissance period. The local civic museums contain fascinating collections of prehistoric and Roman relics and the Bishop’s Palace is a must-see landmark as well. Whether seeking out the rarest of white truffles, shopping in the chic boutiques along the fashionable Via Maestra or exploring the produce at the Saturday open-air market, there is much to see and do in Alba. Asti, a northwestern town east of Turin, holds about 75,000 residents and is a world away from the tourist meccas of Venice, Rome, and Florence. 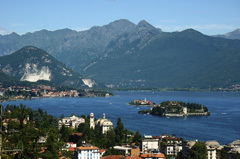 The town holds several churches and other historical sites but is famous for its Spumante wine and weekly truffle festivals (October-December). Turin’s Museo dell’Automobile is a must-see for any car enthusiast. Housing over 170 cars, the museum is one of the largest motor museums in the world. It was opened in 1960 and contains many now unknown manufacturers as well as many Fiats. There is also a race car display. The museum is located on the Corso Unità d’Italia. What was once the Royal Academy has become the Academy of Sciences, a brick palace completed in 1687 by Michelangelo Garove. Today the Academy houses the Egyptian Museum, the Academy of Sciences, and the Savoy Art Gallery. Turin’s Gallery of Modern Art is one of the finest collections of modern art in Italy, as Turin was one of the first cities to welcome modern art exhibitions. The gallery displays over 4000 works which represent mostly Piedmont but many foreign artists as well. The Galleria d’Arte Moderna is located on the Via Magenta. A short distance northeast of Turin sits the majestic Basilica di Superga. This rococo and Baroque style structure was commissioned by King Vittorio Amedeo II in 1711 as an offering to Mary for a victory over the hostile French in 1706. Contained within the church are the tombs of several members of the House of Savoy. The church’s Hall of Popes is also noteworthy as the only collection of all the popes’ portraits in the world.